Golf course lot! 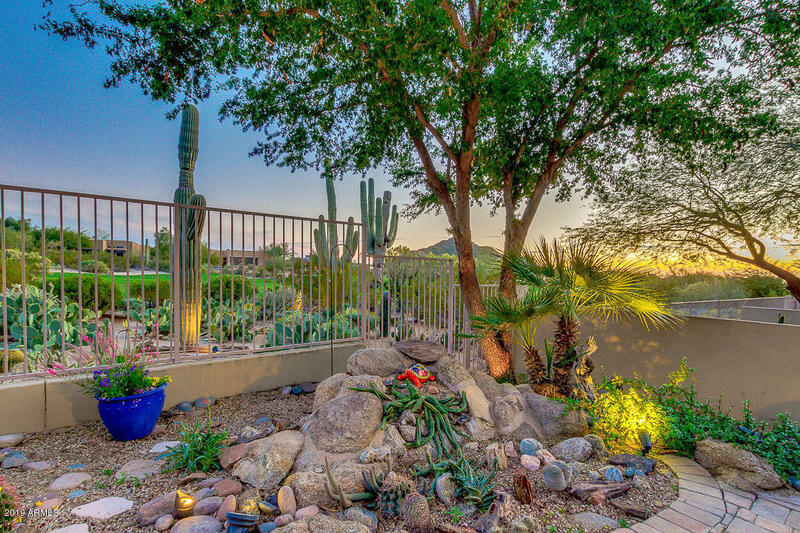 Stunning mountain, desert & golf course views. Lock & leave townhome in gated community of Cachet at Las Sendas. 3 bed,2 Bath single story . Newer HVAC (2017), windows (2016),master shower remodel (2016) Fresh paint (2018). Lived in half time. Master has large w/in closet, dual sinks. Eat in kitchen, 42' cabinets, tile backsplash,pantry . Spacious great room has dining area, gas fireplace & updated breakfast bar . Patio boasts built in gas BBQ w/ table, fireplace & pavers . Plantation shutters,designer window coverings & fans . Cachet offers heated pool, spa, workout & meeting rooms. Walk to the Las Sendas Golf Club for dinner, music & sunsets. Las Sendas offers tennis, pickleball, parks, golf, hiking & biking trails, pools, spa. Furniture under separate contract.